MobilVox can assist those who need a custom search solution by using a custom version of Network IRIS, by helping developers create it from scratch, or by using our robust and tested libraries built on Lucene. These services are tailored to your exact specifications and include an early stage evaluation and requirements gathering, as well as the diagnostic evaluation of existing services. This includes adding more features to the application or making it consistently compatible to your growing needs. 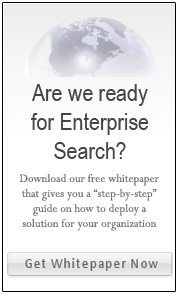 MobilVox can guide you into choosing the right solution for your enterprise search needs. Our experts will help you develop the right solution for your company. MobilVox assesses and evaluates an existing search application in order to help improve the growth of the application based on a customer's changing requirements.